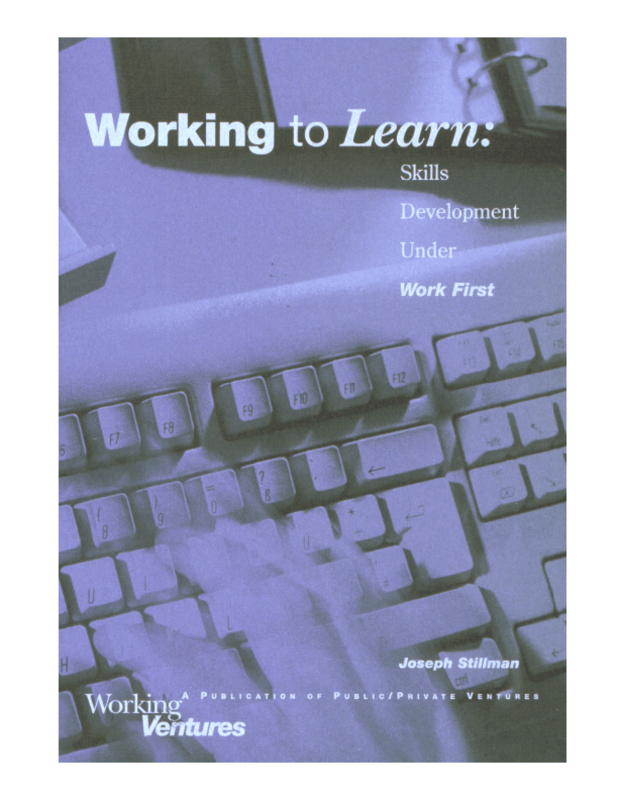 For the thirty years, participants in most employment programs first got training then went to work. Work First has turned that model upside down, as practitioners find that public funding now often requires that people are in jobs before they can get training. At the same time, participants still need new skills to get living-wage jobs, and employers need more skilled workers to stay competitive. This report provides practitioners and policy makers with an opportunity to benefit from the experience of nonprofit organizations, public agencies, community colleges and employers that have been able to meet Work First requirements and provide needed training. The report describes their experiences and sets out the organizational strategies and operating principles that underlie these effective programs.